Commercial Real Estate Negotiations Don’t Have to be Spooky! If you hire the right tenant representation! Watch the video to see how we will make your negotiations a treat! 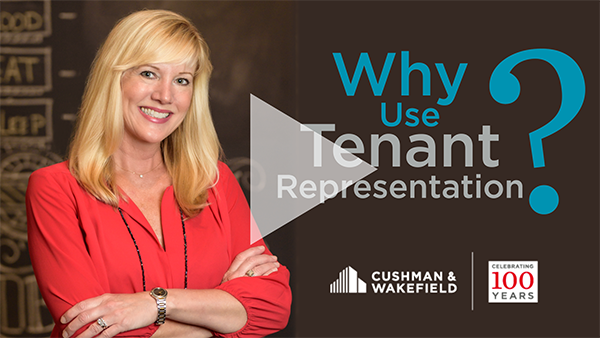 Click on the photo above to find out why you should use Tenant Representation during your next real estate negotiation. 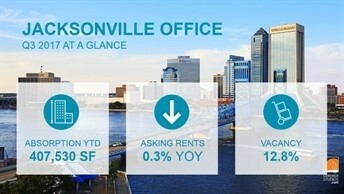 Jacksonville’s Office Market Weathered the Storm and is Still Improving! Hurricane Irma had significant impact to Jacksonville’s office market, causing massive flooding in the downtown core and knocking out a major office tower on the Northbank. The closure of the Wells Fargo building temporarily displaced tenants, but caused no major relocation’s and limited business interruptions. Pre-hurricane, the overall economy continued to grow with the area’s unemployment rate falling 0.8 percentage points (PPS) from a year prior to 3.9% on the addition of 16,900 new. The overall sentiment for the near term indicated Jacksonville should maintain healthy economic fundamentals. 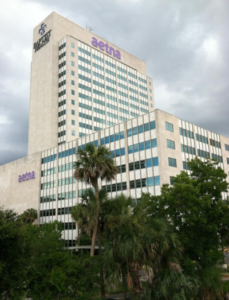 What are the 10 largest office buildings in Jacksonville? The Jacksonville Business Journal has complied, through property records and a survey of the owners, the 10 largest office buildings in Jacksonville comparing total usable square feet as its measure. View the slide show to find out where each building landed. Do you want your office to be in one of these buildings? Call me, I can help make that happen!